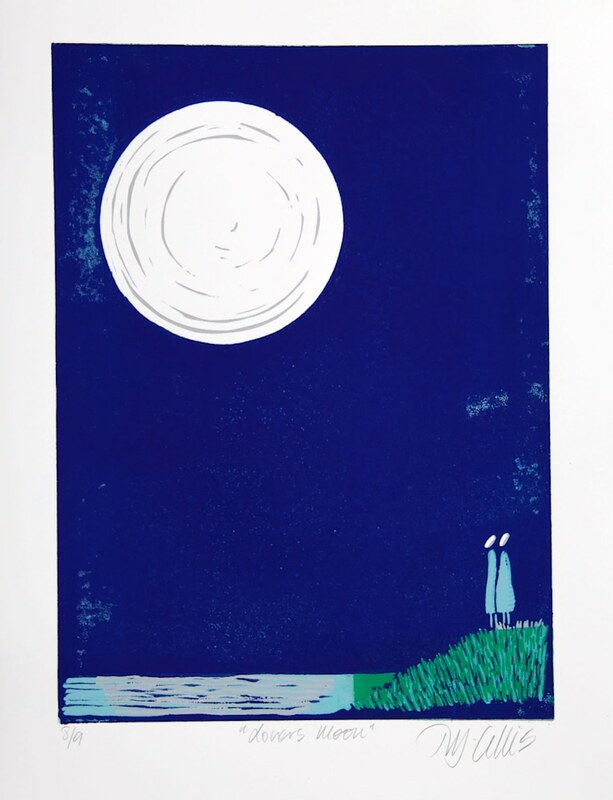 in love, gazing at the moon! Standing together, in the light of the full moon, in love! 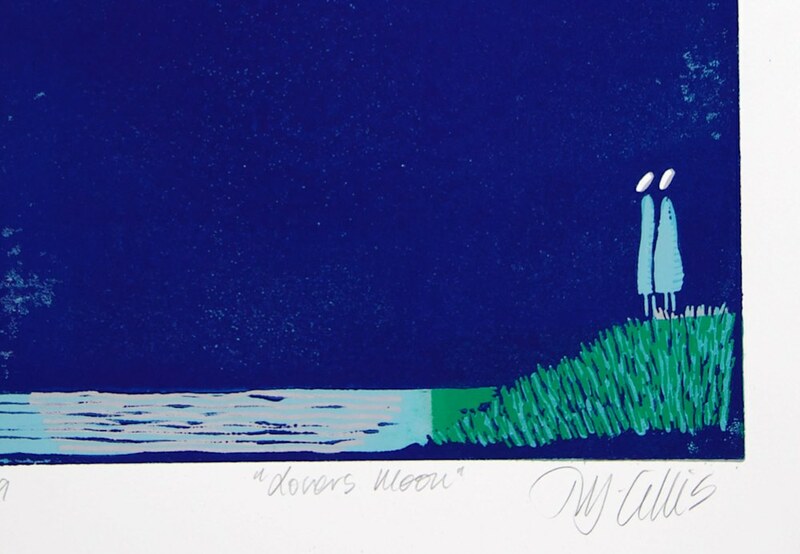 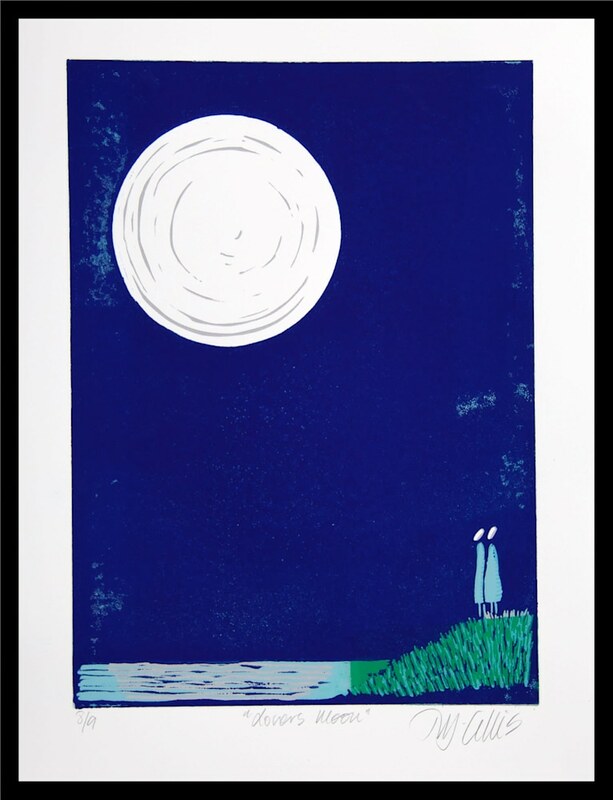 SIZE: "Lovers Moon" is printed in a couple of gorgeous blues, with a nice green accent. Non toxic waterbased block printing inks. 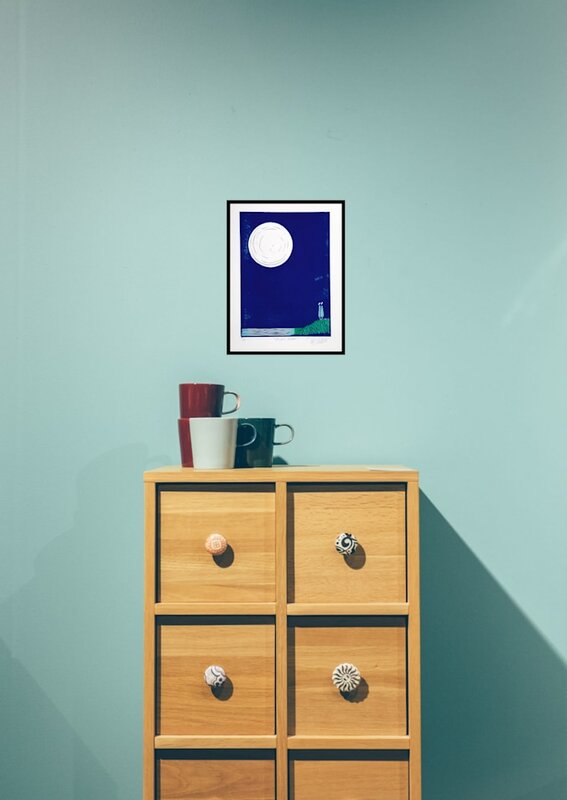 This of course means it fits right into a standard frame, making it a perfect gift!